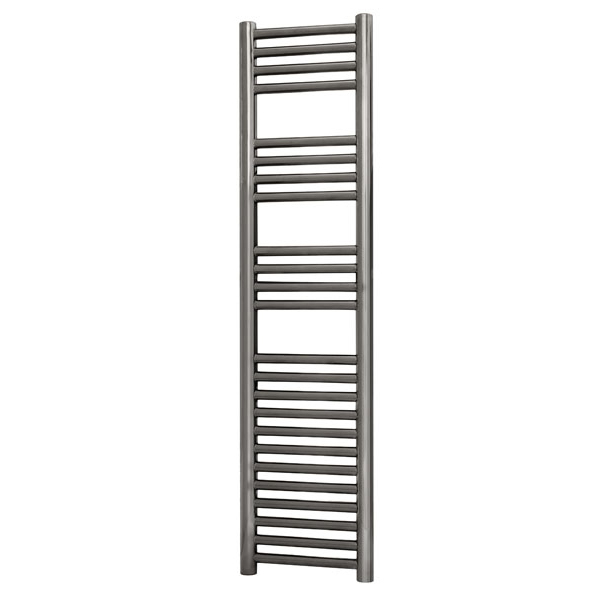 The Radox Premier XL Slimline Straight Heated Towel Rail 1200mm H x 300mm W - Stainless Steel comes from the exciting Premier range of Heated Towel Rail. Made from highly polished 304 marine grade stainless steel which is highly durable and suitable for direct or open systems. Ideal for highly corrosive areas of the house and where wall space is at a premium. it has a full compliment of 22mm cross bars and 38mm collectors. You can be assured that you are receiving an item of the highest quality with a fantastic 25 years of guarantee for total peace of mind.